Sure, there’s Pinterest now, the currently hottest social-media game in town. 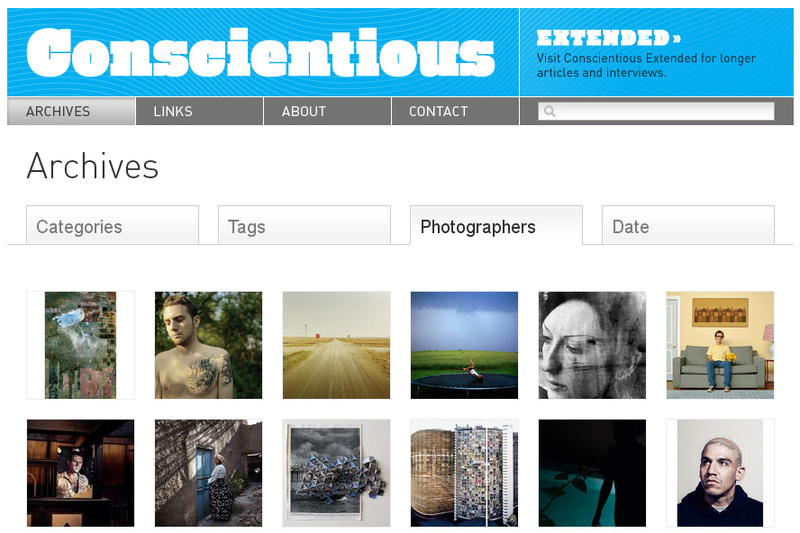 But did you know that Conscientious had its own version of Pinterest for years? It’s the photographers archive, fully based on visuals (and some text that you see when you move your mouse over an image). So very true. There’s also Flak Photo of course. Both are stellar websites far better than much of Pinterest, in my opinion.